A closer look at how respawns work and what happens when you die in Fallout 76. If you’ve yet to die in Fallout 76, you may be wondering how death and respawns work in the game. Previously, we talked about how saves work in Fallout 76 with the game utilizing an autosave feature. While this is useful for tracking your progress when you sign out of the game, it also comes in handy should you die. To elaborate on this further, we’ve put together a quick guide on how death and respawns work in Fallout 76. When you die in Fallout 76, you'll respawn in the nearby area and will drop a Paper Bag on the spot where you died. In Fallout 76, death and respawns work around the game’s autosave feature. For example, if you die while trying to take down an angry Scorchbeast, your character will automatically respawn in the nearby area. Meanwhile, the location where you died will be marked with a Paper Bag that contains your Junk and other miscellaneous items. You can return and collect your Junk, thereby losing nothing by dying. Although, other players also have the opportunity to loot your Paper Bag if they’re feeling particularly greedy. Note that you don’t want to rush back in and grab the Paper Bag as the same enemy or enemies that killed you will be there waiting to attack you a second time. Instead, try to adjust your strategy and pick enemies off from afar, or bring a friend over to help you take down large creatures like the Scorchbeast. Another way a friend can help you out is by reviving you before you die, thus saving you the time of having to retrace your steps in order to collect your Paper Bag. Before you die, there’s a small window of time in which another player can come over and revive you. If you’re playing with a friend, call them over and have them interact with your dying body to initiate the revive process. If they don’t make it to you in time, or if you’re playing solo and there’s no one around to hear your screams (see our guide on how to mute your mic if you want your screams to be silent), you’ll die. As stated above, the only real consequence to dying is dropping your Junk. If you're not carrying anything of value, this likely won’t bother you. How do you deal with death in Fallout 76? Do you always return to collect your Junk, or do you leave it behind? Let us know down in the comments below! 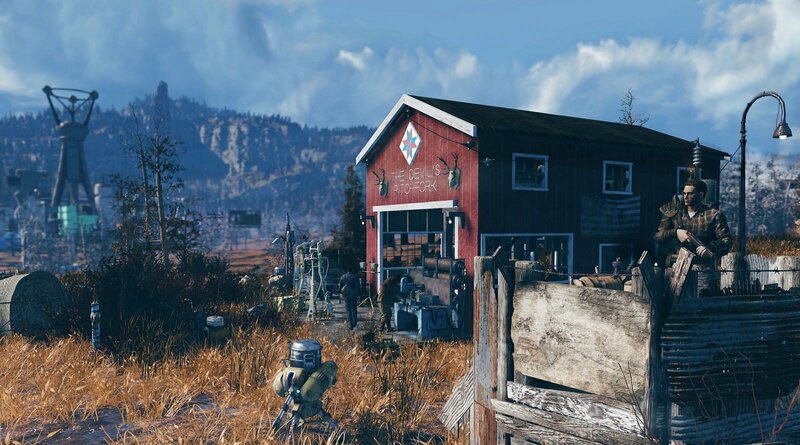 For more on Fallout 76, be sure to check out some of our previous guides including how to make Purified Water in Fallout 76, how to get more Atoms in Fallout 76, and where to find Power Armor in Fallout 76. By reading through this guide, you should now know how death and respawns work in Fallout 76.